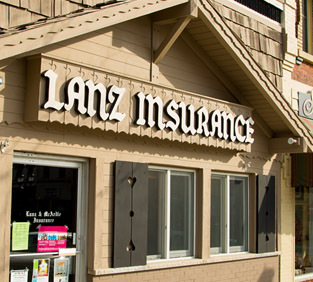 Founded in the heart of Green County Monroe, Wisconsin over 90 years ago, the Lanz and McArdle Insurance Agency is one of the leading independent insurance agencies in southern Wisconsin and northern Illinois. Located on the east side of Monroe's beautiful and historic courthouse square, the office staff and agents at Lanz and McArdle Insurance are here to assist you in protecting the things that matter most. As an independent insurance agency, Lanz and McArdle represents some of the best insurance companies in the industry. The advantage for our customers is "choice" when selecting the best coverages at the most affordable prices.